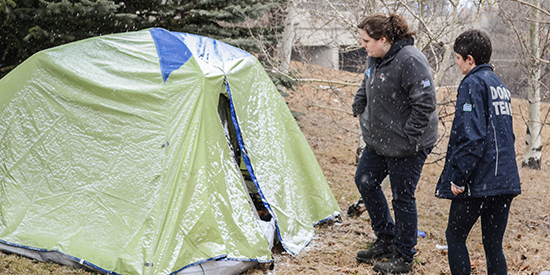 Our Encampment team works within Calgary to connect with those roughlseeping to try to get them into housing. There was a recent article in the Calgary Herald who spend time with the CPS Marine Unit who referred to work of the Encampment Team. If you come across a camp site or know of someone sleeping outside then please contact Encampment 403-805-7388.